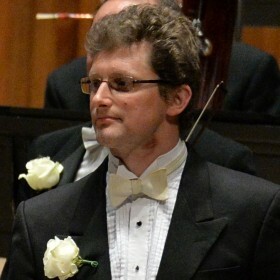 He has since performed at major concert halls all around the world, most recently at the new Philharmonic Halls of Hamburg and Paris and has been invited both as soloist and chamber musician to music festivals such as the Schleswig-Holstein Musik Festival, Mecklenburg-Vorpommern Festspiele and Festival de Musica Manuel de Falla. He has also been a frequent guest on radio and television broadcasts on ARD, BBC, NHK and ORF. As a soloist Tomo has performed with the Beethovenhalle Orchestra Bonn, St Petersburg Camerata, London Symphony Orchestra, Radio Symphony Orchestra Berlin and the Vienna Symphony Orchestra. Concert tours have led him all across Europe, as well as Russia, Asia, America and the Middle East. Tomo Keller is a much sought-after orchestral leader, having led the London Symphony Orchestra as Assistant Leader from 2009-2015. In 2014 he became first concert master of the Swedish Radio Symphony Orchestra. 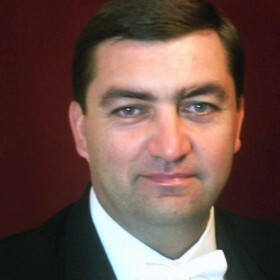 He has also appeared with more than 20 orchestras as guest leader all over Europe, the US and Asia. Tomo was appointed Leader of the Academy of St Martin in the Fields in December 2015. Tomo’s recordings include solo works by Bach, Bartók and Ysaÿe, orchestral recordings including Stravinsky’s Apollon musagète with Sir John Eliot Gardiner/LSO, and Avant Gershwin with Patti Austin and the WDR Big Band, which was awarded a Grammy in 2008. He has given violin, chamber music and orchestral masterclasses at all major London Music Colleges as well as at Yale University and numerous other schools in the US and the Far East. Tomo Keller plays the 1709 ‘Crafoord’ Stradivarius violin, kindly made available to him by the Swedish Järnåker Foundation. Harvey de Souza has been a member of the Academy since 1993 and has led the orchestra on tours with Sir Neville Marriner and soloists including Joshua Bell and Julia Fischer. As a member of the Chamber Ensemble he has performed extensively throughout South America, Europe and the USA. Harvey has been a member of the Chamber Orchestra of Philadelphia, and a member of the Vellinger String Quartet, who were winners of the 1994 London International String Quartet Competition. He has been Principal Guest Director of the Lancashire Sinfonietta, and is co-artistic director of the Sangat Chamber Music Festival, now in its seventeenth year in Mumbai. Harvey plays on a Carlo Bergonzi, kindly lent to him by the Beare’s International Violin Society. 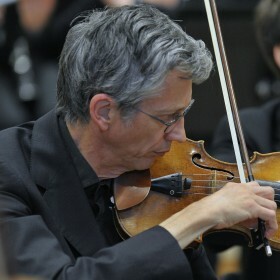 Martin began playing with the Academy in 1992, taking up the position of Principal Second Violin in 1998. Having studied with Emanuel Hurwitz and the Amadeus Quartet he brought with him the love of chamber music. He leads the Grammy nominated Emperor Quartet (winners of the prestigious Evian International String Quartet Competition). The Quartet has released critically acclaimed CDs of music by Britten, Walton, Martinu and James MacMillan. They have also performed on several film soundtracks, notably There Will Be Blood and Norwegian Wood (both written by Jonny Greenwood from Radiohead). Martin enjoys a wide variety of playing away from both these ensembles, most recently recording and then touring the world with Peter Gabriel. Jennifer Godson has been a member of the Academy since 1985. She was for many years a member of the Fairfield String Quartet with whom she toured extensively in Britain and abroad. She now leads a busy chamber and orchestral career and has a special interest in period performance. She is sub-leader of John Eliot Gardiner’s Orchestre Revolutionnaire et Romantique and a member of the Orchestra of the Age of Enlightenment, with whom she has appeared as guest leader. 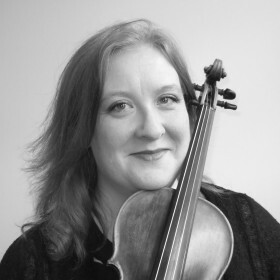 Born in Belfast to family of violinists, Fiona began learning the violin at the age of five. Her studies progressed through the Royal Academy of Music Junior Exhibitioners, Royal College of Music and Royal Northern College of Music. During this time she won places in the National Youth Orchestra and the European Community Youth Orchestra. 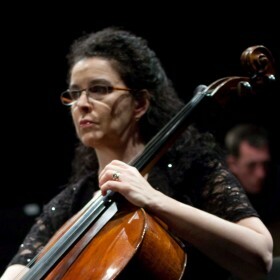 She is a founder member of the Chamber Orchestra of Europe where she has been a member for more than 30 years. During that time she was also a member of the London Philharmonic Orchestra for six years. Fiona started playing regularly with the Academy of St Martin in the Fields in 2002, and became a full member shortly afterwards. Although very busy with her commitment to both these prestigious chamber orchestras, Fiona continues to play as a guest with other leading chamber and symphony orchestras from time to time. Fiona lives in Oxfordshire with her partner and son. As well as being a member of the Academy, Mark’s orchestral career has also included Co-leader positions with the Ulster Orchestra, Guest Leader of the Royal Liverpool Philharmonic and Guest Principal with the CBSO. From 1971 to 1992, Mark was a founding member of the Chilingirian String Quartet, touring world-wide and making over 30 recordings for Chandos, RCA Gold Seal, EMI, CRD and Nimbus Records. The quartet’s recordings of the six “Haydn” quartets by Mozart have become well-known and received the coveted Gramophone award. He taught chamber music at London’s Royal College of Music and at chamber music courses in Norway, Finland and Britain. He now coaches chamber music for the Intercollegiate Awards Scheme at the University of Cambridge. He has a violin duo with the Czech violinist Iva Fleischhansová, which has given concerts in the Czech Republic, Canada and the UK. Born in England, Mark Butler emigrated to Canada at an early age and holds dual British and Canadian citizenship. He studied with the violinist Leonard Hirsch and pianist Ruth Dyson at the Royal College of Music, giving his BBC début in 1971 and Wigmore Hall (London) début in 1972. Mark returned to Canada for a short spell from 1992 to ’96, where he worked with the Royal Winnipeg Ballet and Victoria Symphony Orchestra. He now lives in London, England, returning to Canada frequently to perform in various chamber music series in Vancouver and Victoria, B.C. (his old ‘home-town’) and, not least, to perform as crew on his brother’s yacht! As a child Catherine joined, and then led, the National Children’s Orchestra, which gave her a very early taste for the excitement of the concert platform. She studied with Pauline Scott at London’s Guildhall Junior Department, funded by a local authority scholarship, and went on to study music at Keble College Oxford, postgrad performance at the Royal College of Music with Rodney Friend, and with Ruggiero Ricci in UK and Austria. She was awarded prizes for string playing and chamber music by the RCM, the first Manoug Parikian Prize for Violin from the Musicians Benevolent Fund and a prestigious Park Lane Award. Catherine is a member of the St Paul’s Quartet, which formed in 2012 with colleagues drawn from the Britten Sinfonia and Aurora. The quartet has since established relationships with the Brighton Festival, Conway Hall and other London concert series, and it has developed a multi-media education workshop format The Interactive Quartet, which began at Oxford’s Old Fire Station theatre, but also works well in schools. Catherine is also delighted to have returned to her National Children’s Orchestra roots, as part of their coaching team. A native north Londoner, Jeremy was accepted into the élite Purcell School as a student of Simon Kuhn, and then went on to study violin under Pauline Scott at the Guildhall School of Music. As a serious classical music student he never suspected that his studies would lead to parts in films such as Emma, The Madness of King George, or Mansfield Park – but those are real musicians in those eighteenth century backing bands, not just actors in lacy sleeves! 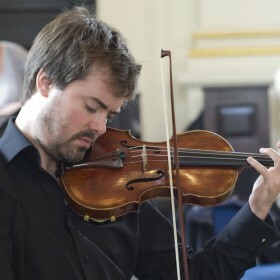 After graduating with a Solo Diploma, he was appointed to a First-Violin Principal position with the Scottish Ensemble; he also played in Principal positions with Ballet Rambert and the Swedish Chamber Orchestra, and has worked with several major British orchestras, including the BBC Symphony, the Philharmonia and the English Chamber Orchestra. He joined the Academy of St Martin in the Fields in 1996. In addition to his orchestral and film career, Jeremy led his own quartet, the Saltire Quartet, Resident Quartet to the Queen’s Hall, Edinburgh, giving live broadcasts for the BBC and performances for Yehudi Menuhin‘s “Live Music Now” series in Scotland. 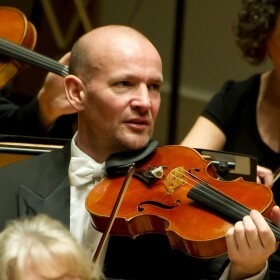 As passionate about football as he is about the violin, Jeremy is a keen Manchester United fan. Since then Gabby has enjoyed a rich and varied musical existence from a ragtime band accompanying silent movies around America, a New York contemporary music group called ‘Furious’, to performing with Britain’s greatest chamber and symphony orchestras including the Academy of St Martin in the Fields (where she is one of their newest members), the London Symphony Orchestra and not forgetting regular performances at her daughter’s preschool! Gabby has also been heard on Classic FM, BBC radio, Lyric FM, CRI and New World Records. Classical Source has described her playing as “rapt and intense” with an “earthy lustrous tone”. Her concerto performances range from Beethoven to Szymanowski, Prokofiev and Lou Harrison and recital repertoire includes sonatas by Enesco, Busoni and Shostakovich. 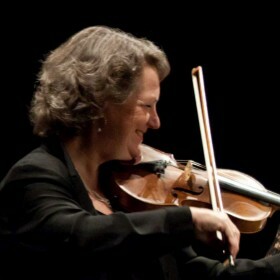 A passionate chamber musician, she has been a guest artist at the Banff Centre for the Arts and in numerous concert series including the London Festival of Chamber Music, Cathedral of Saint John the Divine (NY), the Mostly Music Series (Chicago) and concerts throughout the US, Europe and the UK. She has performed as guest leader and in Principal positions for some of Britain’s top orchestras working with conductors including Yehudi Menuhin, Richard Hickox, Martyn Brabbins, Ryan Wigglesworth and Gustav Meier. Gabby is also the leader of the renowned St Endellion Festival. Helen Paterson comes from a large Hampshire farming family and, through scholarships, studied at Wells Cathedral School, the Guildhall School of Music, and in Vienna. She took a break from playing to do a History degree at Cambridge, leaving to become Principal Second Violin in the Philharmonia. 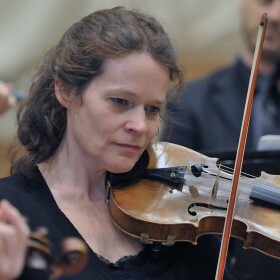 Since leaving the Philharmonia and rejoining the Academy, she has played as a Guest Principal with most London orchestras and as chamber musician with the Fibonacci Sequence and The St Paul’s Quartet (on viola). She plays on a violin made by Camillus Camilli. Miranda is half Scottish and half Corsican. She has had the honour of playing with the Academy of St Martin in the Fields on and off since leaving music college, when Sir Neville Marriner heard her at a Wigmore Hall concert and invited her to join his orchestra. Playing with Iona Brown in the Academy – one of the most beguiling directors of her generation, inspired her and gave her the confidence to direct, first in Scandinavia where she lead orchestras all over Norway, and in Sweden where, for two years, she was leader/artistic director of the chamber orchestra ‘Musica Vitae’. After 10 years of living in Norway, she moved to Malaysia for the following six years to play with the newly formed Malaysian Philharmonic Orchestra with whom she regularly performed as a soloist, and where she started teaching more regularly. Her most exciting experience in Malaysia was performing Henri Dutilleux’s violin concerto L’Arbre des Songes. Now back in Britain, she is a member of the Academy, a member of Sir John Eliot Gardiner’s historically informed Orchestre Revolutionnaire et Romantique, teaches at the Royal Northern College of Music, and is Associate Leader of the Royal Liverpool Philharmonic. She occasionally guest leads other orchestras such as the BBC Scottish Symphony Orchestra and City of Birmingham Orchestra. Miranda is the Founder and Artistic Director of PONTE CULTURA with Jan Rautio and Line Playfair, an anglo-corsican arts festival in the mountains of Corsica focused on Literature, Music and Visual Arts for young artists. Sir Neville Marriner will always be their Président D’Honneur. Having had a three year pause for the village to improve infrastructure, the course may well continue in 2020. Future dreams include learning to skipper the family’s 1935 Venetian Vaporetto, now moored in Friesland, The Netherlands, and undergoing major restoration. Also, playing Schubert Fantasie as often as feasible, travelling through an African country on elephant back, and having the courage to sing ‘My Funny Valentine’ impromptu in a far away jazz club. Robert taught the violin at St Paul’s School (Hammersmith) from 1997-2002 and at the JRAM from 2007-2010. 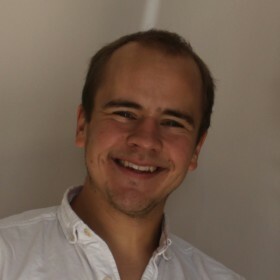 He has coached at Pro Corda, is a regular coach at Grittleton Chamber Music summer course and has led several projects with the Southbank Sinfonia. Rebecca grew up surrounded by music. Her parents were both professional string-players, while two of her aunts had successful careers playing the piano and the harp. An uncle of Rebecca’s also worked as a conductor. It was clear from an early age that Rebecca would continue the family tradition. Learning the violin with Sheila Nelson, she went on to study with Yossi Zivoni at the Royal Northern College of Music where she gained a Graduate and two Postgraduate degrees. From there, keen to maintain momentum, Rebecca moved to Northern Illinois University to study with Shmuel Ashkenasi and the Vermeer quartet and, following that, with Mark Zinger at De Paul University in Chicago. Life in the US proved rewarding. Rebecca was not only a member of various chamber, ballet and symphony orchestras. She also played in Chamber Blues, an eclectic group of classical and blues musicians formed by the highly regarded jazz musician Corky Siegel. They toured the U.S, Canada and Virgin Islands together, and performed at numerous concert halls and music events including the Montreal jazz festival. Returning to London in 1991, Rebecca freelanced in the London Symphony Orchestra, the Philharmonia and the Royal Philharmonic Orchestra. The following year she became a member of the Academy of St Martin in the Fields. Worldwide travel with these orchestras means she has performed with many great conductors and directors. 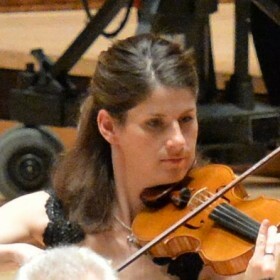 Rebecca is also a current member of the City of London Sinfonia and the Orchestra of St John’s. She also specialises in operas, and has played for many years with the Glyndebourne Touring Opera and in Holland Park. Rebecca’s love of music extends to playing chamber music to children in hospitals, and in schools for children with special needs. She has taken part in many Academy projects working with London’s homeless and has also taught the violin and viola at Harrow School since 1991. Helena Smart began studying the violin aged eight and studied at Chethams School of Music and, following that, at the Royal Northern College of Music with Prof. Wen Zhou Li. She graduated in 2002 with a 1st Class degree, having won several prizes and scholarships including generous awards from the MBF, Sowerby Music and the English Speaking Union. Helena has performed concerti with the Hallé, RNCM Sinfonia, Chethams Symphony, Todmorden, Bishop Auckland and Teeside Symphony Orchestras; and performed solo recitals and in chamber ensembles across the country. Helena was a National String Finalist in the BBC Young Musician of the Year 2000; performing on Radio 3 and as part of a BBC production. Since this time, she spent four years living in Cologne, Germany, where she studied with Prof. Mihaela Martin under the prestigious DAAD Scholarship; she performed with her teacher and other professors of the school in chamber concerts, and visiting London to perform as soloist and chamber musician in St James’, Piccadilly, and at the Wigmore Hall. Helena was a member of the WDR Sinfonieorchester, Köln from 2004-2006, and since returning has been a regular player with the London Symphony Orchestra, and the London Philharmonic. Becoming a member of the Academy of St Martin in the Fields was a great honour and she loves the performing as well as her involvement within the ASMF Outward Sound education scheme. Amanda Smith was born in Bury St. Edmunds, Suffolk and is the youngest of a family of six. She studied at the Yehudi Menuhin School and the Royal College of Music. 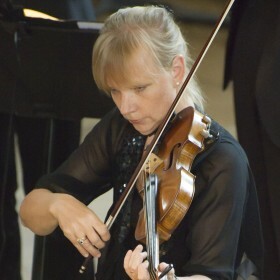 She has been playing with the Academy of St Martin in the Fields since 1994, also working as a freelance violinist with other orchestras such as City of London Sinfonia and London Philharmonic Orchestra. 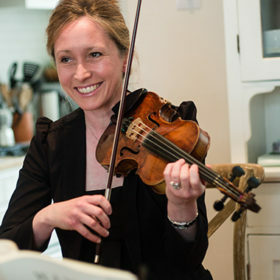 Canadian violinist Katie Stillman began her studies in London, Ontario, before joining the Young Artists’ Performance Academy at the Royal Conservatory of Music in Toronto. Whilst still only 15 years of age, Katie toured Mexico giving recitals in Mexico City, San Miguel, Cuernavaca and Monterrey. In 1998, aged 16, Katie won the prestigious Grand Prize at the Canadian Music Competition in Montreal. Already establishing herself as a highly successful young soloist with regular appearances both in Canada and the UK, she subsequently won Radio Canada’s Young Artists Performance Prize for the broadcast of her Toronto recital. From an early age Katie began attending Pro Corda, a chamber music school in Suffolk which provided training for talented young players. She was a founding member of the Barbirolli Quartet which was selected by the European Concert Halls Organisation as the UK Concert Halls’ nominated ‘Rising Stars’. Other highlights included concerts at the Verbier, Aldeburgh and Aix-en-Provence festivals, Mananan International Festival, the Lincolnshire International Chamber Music Festival and Septembre Musical Montreux Festival. They released a CD of Britten, Bliss and Delius on the Nimbus Label in 2012. Katie formed a duo with English pianist Simon Lane whilst studying at the Royal Northern College of Music in Manchester and they are celebrating their 10th Anniversary year in 2015. The duo has won numerous awards and acclaim, including the RNCM Helen Porthouse Paganini Prize, being selected for the Tillett Trust Young Artist Platform and the Worshipful Company of Musicians’ Maisie Lewis Award and the Park Lane Group Young Artists’ New Year Series at the Purcell Room. In parallel with her chamber music work, Katie enjoys a busy orchestral career. She regularly guest leads and co-leads many UK orchestras including the Manchester Camerata, the Bournemouth Symphony Orchestra, the City of Birmingham Symphony Orchestra as well as London Concertante and Birmingham Contemporary Music Group (BCMG). 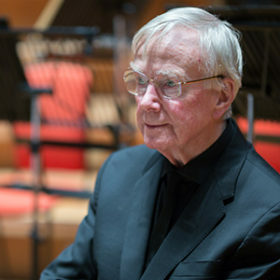 Highlights in 2014 have included ‘Birtwistle at 80’ with BCMG, recorded for BBC Radio 3, which included a doubling part on the viola, a performance in the BBC Proms with the Academy of St Martin in the Fields with Sir Neville Marriner and Joshua Bell and a tour with the Royal Philharmonic Orchestra with Charles Dutoit conducting a programme of Ravel and Poulenc. She has recently become a member of the Academy of St Martin in the Fields. For the past three years she was a faculty member at the Junior Trinity College of Music and in 2015 begins teaching at Chetham’s School of Music in Manchester. Matthew was born in London in 1974. Since graduating from the Royal Academy of Music in 1996, Matthew has worked with a diverse mix of artists, groups and orchestras. In 1997 Matthew joined critically acclaimed and groundbreaking theatrical string septet The Gogmagos with whom he appeared in major festivals throughout the UK and in Europe, USA, Canada, Brazil and Australia. Matthew has since collaborated with artists including blues guitarist Billy Jenkins, jazz pianist Django Bates, classical Palestinian group Sabrine and The Clod Ensemble. Since 1999 Matthew has been a member of The Academy of St Martin in the Fields and regularly appears as an orchestral Guest Principal with English National Opera, Scottish Chamber Orchestra, Bournemouth Symphony, and Orchestra of St.John’s. A keen chamber musician, Matthew has performed with violinist Andrew Haveron, and celebrated pianists Peter Frankl and Pascal Roge and has made recordings with London based Chamber Domain. Matthew has played on numerous albums and soundtracks: a recent highlight was improvising and playing solo violin for the award-winning documentary film In The Shadow of the Moon with composer and cellist Philip Sheppard. Matthew has given workshops on improvisation at the Julliard School, Guildhall School of Music and Drama and at the Opus 118 string programme in Harlem, New York. Matthew is married to the pianist Fiona Dalzell and plays a violin by Georges Chanot, 1848. Born in Mansfield Nottinghamshire, Robert Smissen won a scholarship to Chethams School of Music and went on to study at the Guildhall School of Music, from which he graduated with distinction. 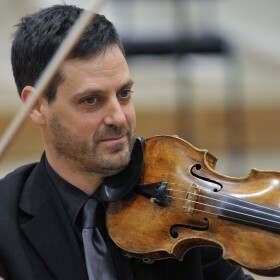 After playing with the European Community Youth Orchestra and the Chamber Orchestra of Europe he took the position of Principal Viola with the Northern Sinfonia before joining the Academy of St Martin in the Fields, with whom he has been Principal Viola for over 25 years. He often performs as a soloist with the orchestra, and as a member of the ASMF chamber ensemble and the Pro Arte Piano Quartet he has performed, broadcast and recorded all over the world. Outside of music, being a father of five keeps him more than busy, but his other interests include walking his six dogs, gardening, DIY, early renaissance art, philosophy, cooking and cricket. Martin began playing the violin in North Yorkshire at the age of seven but took 11 years to learn the error of his ways and change to the viola. He then studied with Elizabeth Turnbull, Nicholas Roth and Peter Schidlof. He began playing with the Academy in the late 1980s. He has also worked with most of the major chamber and symphony orchestras in the UK as well as extensive work for film and television. Ian started playing the violin at the age of three with the London Suzuki Group. At the age of 11 he changed to the viola and was awarded a scholarship to the Royal College Junior Department. Ian went on to study with David Takeno at the Guildhall, Milan Skampa in Prague and Thomas Riebl in Salzburg. 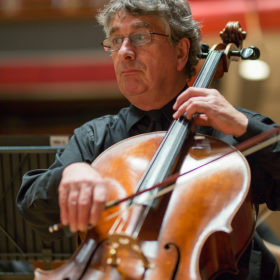 Ian enjoys a busy and varied freelance career, having played with the Academy of St Martin in the Fields, Orchestra of the Age of Enlightenment, Orchestre Revolutionnaire et Romantique, Mahler Chamber Orchestra, Australian Chamber Orchestra, English Chamber Orchestra as well as West End shows and film scores. Prior to entering the Royal College of Music in 1984, Nick Barr played with the European Community Youth Orchestra and, whilst still studying, with the Academy of St Martin in the Fields and the London Symphony Orchestra. His professors at the RCM were Frederick Riddle and Roger Best. In 1988, he won scholarships from the Countess of Munster Trust and the Royal Society of Arts to study in Salzburg with Thomas Riebl. As a busy freelance session player, Nick has recorded over 300 soundtracks for films, including Gladiator, Lord of the Rings and Harry Potter. He was a founder member of the Lyric Quartet making frequent radio and television appearances and many recordings, including the complete quartets of Dohnányi, Ginastera, Michael Nyman and Gavin Bryars. He has appeared as Guest Principal with the Royal Philharmonic Orchestra, Academy of St Martin in the Fields and English National Opera. He plays a Charles Boullangier dated 1878. Alexandros studied the violin and viola at the Royal Academy of Music and during his studies was awarded both of the institution’s viola prizes. In 2009 he was a resident artist in the Banff Centre, Canada, where he performed as a soloist and chamber musician. 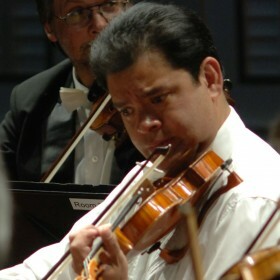 He was also a prize winner in the 2006 Lionel Tertis Viola Competition. 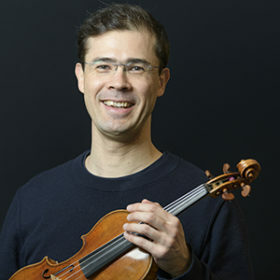 Alexandros is the violist of the Eeden String quartet and in 2013 he was appointed Principal Viola with the English National Ballet Philharmonic. Stephen Orton was born in Ripon, Yorkshire, and studied with William Pleeth at the Guildhall School of Music and Drama. 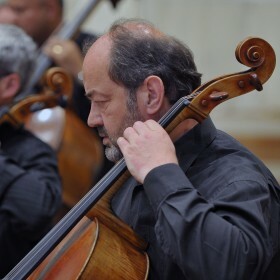 He has been Principal Cello with the Bournemouth Sinfonietta and the City of London Sinfonia and was also a member of the Delmé Quartet for ten years. He has acted as Guest Principal Cello with the London Symphony Orchestra and Philharmonia. 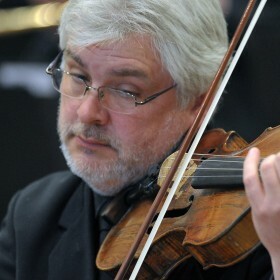 Stephen has wide experience of chamber music and has often played the Schubert Quintet with the Chilingirian Quartet. In 1985 Stephen became Principal Cello with the Academy of St Martin in the Fields and has played concertos with the orchestra. He is also a member of the Academy Chamber Ensemble, touring internationally and making numerous recordings. 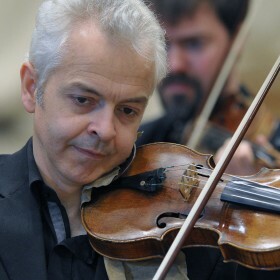 He joined the Chilingirian Quartet in 2013. Martin Loveday was born in Zimbabwe (then Rhodesia) in 1958 and began his musical studies soon after moving to England in 1964. His early studies were with Antonia Butler at the Royal College of Music’s Junior Department. At the age of 18 he was awarded a scholarship to the Royal Academy of Music where he studied with Florence Hooton and Sydney Griller. Here he won numerous prizes off solo and chamber music performances as well as a scholarship to continue his studies with Pierre Fournier in Geneva. He now divides his time between the Academy of St Martin in the Fields (with whom he has now been playing for over thirty five years) his chamber music, and London’s uniquely varied commercial work in the recording studio. Will Schofield was born in London to Australian and Italian parents. He read music at Edinburgh University and went on to study with Radu Aldulescu in Rome and at the Menuhin Academy in Gstaad, Switzerland. Will has been cellist with the Grammy nominated Emperor String Quartet since the group was formed in 1992. He started playing with the Academy of St Martin in the Fields the following year, and membership of these two groups has been the primary focus of his playing career ever since. With the Quartet he has played throughout Europe, North and South America and in Africa, appearing at all of the major festivals in the UK and at numerous festivals abroad including Prague Spring Festival, ‘Mostly Mozart’ New York, Flanders, Monte Carlo, Montpelier/Radio France and Kuhmo in Finland. The Quartet records for BIS, the latest project being a complete cycle of Britten. 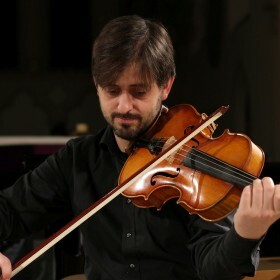 He has also played as a guest with the Allegri and Maggini Quartets and with the Schubert Ensemble of London. With the Academy Will has had the opportunity to play the key repertoire for Chamber Orchestra at the highest level, working and recording with musicians such as Murray Perahia, Joshua Bell, Janine Jansen, Julia Fischer and, of course, Sir Neville Marriner. 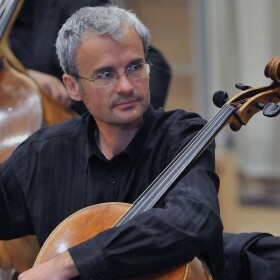 As a freelance cellist Will has played as Guest Principal Cello with many of the country’s top orchestras such as the Royal Philharmonic and the English Chamber Orchestra, and with orchestras in Ireland and Spain. He has played on numerous film soundtracks, and with the Emperor Quartet has collaborated with Radiohead’s Jonny Greenwood on several projects, most notably the soundtrack to the 2007 movie There Will Be Blood. Judith Herbert leads a busy and varied career both as a chamber musician and as a member of various ensembles and orchestras. She was a member of the English Chamber Orchestra for about ten years, during which time she performed throughout the UK as a member of the English Chamber Orchestra Ensemble, and has taken part in many BBC Radio 3 broadcasts. As a member of the Ambache Ensemble she made many CD recordings and gave several Wigmore Hall chamber music recitals. Her Chandos CD recording of Dreaming for solo cello and piano by Amy Beach was described as “ravishing” by BBC Music Magazine. Lynda Houghton is Principal Double Bass with the Academy of St Martin in the Fields and has been playing with the orchestra for over 25 years on many recordings and world tours. Having studied at the Royal Academy of Music in London and at the Banff Centre for Fine Arts in Canada, she rapidly went on to establish a reputation as a talented exponent of contemporary music, much in demand with the London Sinfonietta. She was also invited to play with the London Symphony Orchestra – the first woman bassist in that orchestra. Lynda also enjoys playing with a number of other chamber orchestras and ensembles, such as the City of London Sinfonia and Orchestra of St. John’s where she is Principal Bass in both, and as a guest in many other ensembles including the Nash Ensemble and Fibbonacci. She has played at the Sangat Chamber music Festival (seven times), Mecklenburg-Vorponnen (Germany), Orpheus and Bacchus Festival (France) as well as many appearances at the Edinburgh festival. As an enthusiastic ‘period’ instrumentalist she has toured and recorded with Trevor Pinnock’s English Concert, and with John Eliot Gardiner’s English Baroque Soloists. 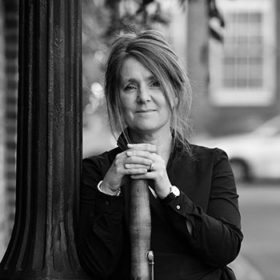 Lynda is now an Associate at the Royal Academy of Music and whilst being in demand as a teacher and examiner, her playing engagements encompass not only the world of contemporary, symphonic and chamber music but also of films and popular music. David graduated with a first class BMus Hons Degree from the Royal Academy of Music in 2011, winning the John Alton Award for Double Bass, Elizabeth Willmore Scholarship, Di Veroli Award and the William Elkin Memorial Prize. He was a scholarship student, studying with Duncan McTier and Graham Mitchell. Since leaving the Royal Academy, David has been guest Principal Double Bass of Scottish Opera, BBC National Orchestra of Wales, BBC Philharmonic, Royal Northern Sinfonia, Aurora Orchestra, Royal Liverpool Philharmonic Orchestra, Royal Scottish National Orchestra, City of Birmingham Symphony Orchestra, City of London Sinfonia, Academy of St Martin in the Fields, BBC Symphony Orchestra, The Royal Philharmonic Orchestra and The John Wilson Orchestra. In 2012, David was lucky enough to be offered both the Northern Sinfonia and BBC National Orchestra of Wales Principal Bass positions. His love of the Symphonic repertoire led him to accept the BBCNOW position, which he has been a member of since 2013. He was appointed as a member of the Academy of St Martin in the Fields in December 2016. David began teaching Double Bass at the Royal Welsh College of Music and Drama in 2016. Michael Cox is an international soloist whose wide-ranging career also encompasses membership of symphony and chamber orchestras, chamber and avant-garde music ensembles and teaching at the highest level. 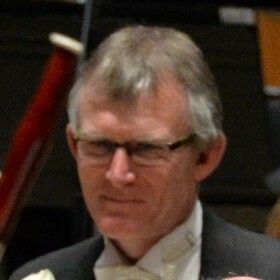 After studies at the Zimbabwe College of Music in Harare and at the Royal College of Music in London, Michael Cox won places on several young solo artists’ schemes before beginning a parallel orchestral career as Co-Principal Flute of the BBC Symphony Orchestra. He went on to spend five years as Principal Flute of the London Symphony Orchestra before being offered Principal Flute positions in the Halle Orchestra, Britten Sinfonia, London Mozart Players and Albion and Haffner Wind ensembles. He is currently Principal Flute of the BBC Symphony Orchestra and Academy of St Martin in the Fields and has recently succeeded his late teacher, Sebastian Bell, as the flautist of the London Sinfonietta. His work there and with the BBC has led to direct collaborations with many of the world’s most notable contemporary composers (Boulez, Stockhausen, Berio, Carter, Tippett, Takemitsu, Messiaen included). Performances in the USA and Italy of Bach Brandenburg Concerti with the renowned American pianist Murray Perahia culminated in a Bach recording with him for Sony in London. Other recordings have included chamber music on Naxos, concerto recordings for the BBC and a recital disc. Further recital recordings are planned in conjunction with Just Flutes and Altus Flutes. Michael is an Altus international Artist and plays on their instruments. 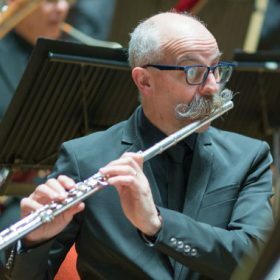 Michael Cox has been a visiting consultant at the Birmingham Conservatoire and the Royal Northern College of Music and professor of flute at the Royal Academy of Music since 1995. His renown and his passion for teaching have led to invitations to give classes in all continents and his unique curricular flute course in Oxford, Portugal and Australia. Michael lives in his family home in rolling Devonshire countryside (from where he can indulge his favourite pastime of walking moorland and coastal paths) and on a canal boat in London. Sarah is a member of the Academy of St Martin in the Fields and the New London Orchestra and formerly of both Welsh National Opera and the London Philharmonic Orchestra. 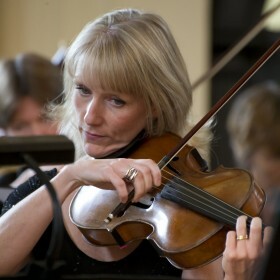 As a freelance player she has worked with most of the orchestras in Great Britain. A keen chamber musician, Sarah is a member of Cardiff Winds and Dragonfly. 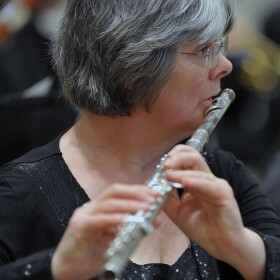 As a freelance flautist Sarah is able to work in a variety of musical genres ranging from opera, symphony and chamber orchestras, chamber music and recitals, to film sessions and some period instrument work. Teaching plays an important part in Sarah’s musical life; she has been a professor of flute at the Guildhall School of Music and Drama since 1989. In collaboration with Ian Clarke she redesigned the technical requirements for the woodwind at the GSMD. This has led to invitations to present workshops at the first Reflective Conservatoire conference at the Barbican, London and also Professional Development Seminars in Finland and Norway. In addition, since September 2010 Sarah has been a professor of flute at the Royal Welsh College of Music and Drama. Together with Zoe Smith, piano, she is director of the Llangenny Flute Summer School, which has run annually since 2008. 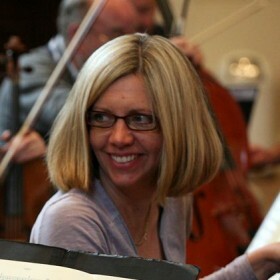 Sarah is a regular coach for the National Youth Orchestra of Great Britain and for the I-Culture Orchestra in Poland. She is sought after as an adjudicator and examiner and regularly gives masterclasses and recitals in Britain, Norway, Greece, Finland, Ireland, France and Thailand. Sarah Newbold studied the flute with Atarah Ben Tovim and Alan Lockwood at Huddersfield Polytechnic and with Peter Lloyd at the Guildhall School of Music and Drama. She completed her studies at the National Centre for Orchestral Studies. Rachel’s early musical experiences started on Saturday mornings aged 11 as a Junior Exhibitioner at the Royal College of Music and she was later awarded a scholarship to study there full time with oboe and piano as joint first studies. She enjoys a varied musical life as a member of the Academy of St Martin in the Fields and is also an active member of the Academy’s Outward Sound learning and participation team, participating in a diverse range of creative projects. When not appearing with the Academy, Rachel is a regular guest with the Philharmonia, the London Philharmonic Orchestra, the London Symphony Orchestra and the orchestra of the Royal Opera House. Highlights at Covent Garden include performing on stage in costume in six productions of Don Giovanni. 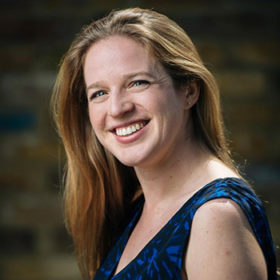 Teaching and coaching is an important part of Rachel’s musical life and she holds teaching posts at St Paul’s School and Alleyns and has recently recorded the demonstration tracks for the Grade by Grade oboe series for Boosey and Hawkes. 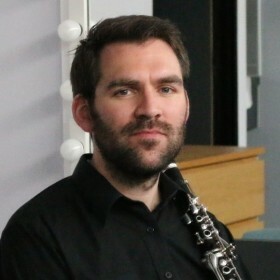 James leads a busy career as both Co-Principal of the BBC Symphony Orchestra and Principal Clarinet of the Academy of St Martin in the Fields. 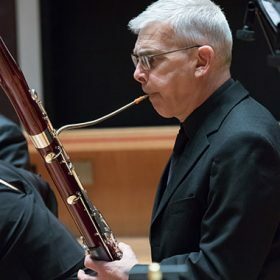 When not performing, he teaches as a Clarinet Professor at the Guildhall School of Music and Drama, where he once studied with teachers such as Andrew Webster, Nick Carpenter, Barnaby Robson and Joy Farrall. James continues to play as Guest Principal in other orchestras, including the London Symphony Orchestra, London Philharmonic Orchestra, Philharmonia, City of Birmingham Symphony Orchestra and Royal Northern Sinfonia. James’ work with the Academy of St Martin in the Fields means that he also has many opportunities to perform chamber music on a regular basis, often with Music Director Joshua Bell. He has also worked with the London Sinfonietta, London Conchord Ensemble, Irish Chamber Orchestra, and the Philharmonia Soloists. As a soloist, James recently performed the Howard Blake Clarinet Concerto, with Sir Neville Marriner conducting. James also gives masterclasses, as well as orchestral and chamber coaching sessions in some of the best music institutions in the country, including the Royal College of Music, Guildhall School of Music and Drama, Southbank Sinfonia, and for the educational departments in the London Symphony Orchestra and Academy of St Martin in the Fields. 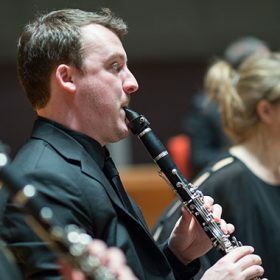 Thomas studied clarinet at the Birmingham Conservatoire with Michael Harris and at the Royal Academy of Music, with Tim Lines, Angela Malsbury and Nicholas Rodwell, where he won the coveted Buffet-Crampon clarinet competition. Since 2013 he has been a member of the Academy of St Martin in the Fields, in addition to playing regularly with orchestras including the London Symphony Orchestra, BBC Symphony Orchestra, Aurora Orchestra and Royal Philharmonic Orchestra. He is a founder member of the Ossian Ensemble, a new music group working with composers including Sir Peter Maxwell Davies, Thomas Ades, Anna Meredith and numerous others. He currently teaches the clarinet at Eton College, Westminster Abbey Choir School and the North East of Scotland Music School. 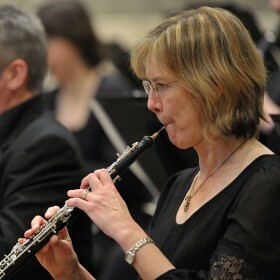 An orchestral musician, chamber musician, soloist, and teacher, Julie Price has held positions as Principal Bassoon with the BBC Scottish Symphony Orchestra, Orchestra of the Royal Opera House, Covent Garden, and Royal Philharmonic Orchestra. She has been Principal Bassoon of the English Chamber Orchestra since 1994 and Co-Principal, now Principal Bassoon, of the BBC Symphony Orchestra since 2001. 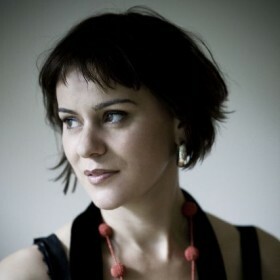 With conductors such as Vladimir Ashkenazy, Ralf Gothóni, Andrew Litton, Edward Gardner, and Douglas Boyd she has appeared as a soloist at the Barbican, Cadogan Hall, and Royal Festival Hall as well as many venues outside London and abroad. As a chamber musician she has appeared with such groups as the Nash, Gaudier, and Razumovsky ensembles, London Winds, and the Lindsay and Chilingirian string quartets. She first studied the bassoon with Sonja Smith, then with Edward Warren and William Waterhouse in Manchester, and later with Roger Birnstingl in Geneva. 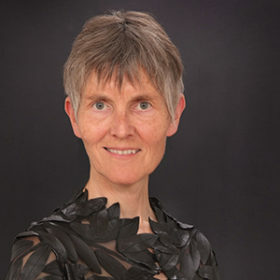 Julie Price has been a teacher at the Royal College of Music in London since 1998. Her discography includes recordings of Mozart’s Bassoon Concerto and Sinfonia concertante and Elgar’s Romance, all with the English Chamber Orchestra. Richard Skinner studied at the Guildhall School of Music & Drama with Roger Birnstingl. When not performing with the Academy of St Martin in the Fields, he may be playing with the London Chamber Orchestra, Lontano, National Symphony Orchestra, and the Elysian Wind Quintet, or one of the other groups of which he is a member. With the Fibonacci Sequence, he has recorded a number of chamber music CDs, including the critically well received Bassoon Deux Elles DXL 1104. Richard also works as a studio musician, with recent screen credits for solos on Happy Go Lucky and The Bourne Ultimatum. Timothy Brown has enjoyed a long and varied international career as a horn player since his professional debut over 50 years ago. 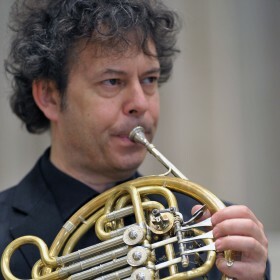 He was Principal Horn in the Bournemouth Symphony, the BBC Symphony and the Orchestra of the Age of Enlightenment and has played as Guest Principal abroad with many orchestras including the Czech Philharmonic. He has worked with many distinguished conductors including Igor Stravinsky, Benjamin Britten, Otto Klemperer and Gunter Wand. As a soloist and chamber player he has performed and recorded much of the horn repertoire on both period and modern instruments. 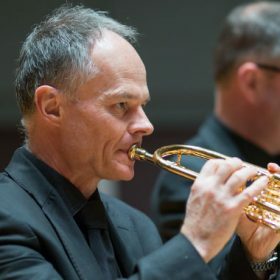 His discography includes the complete Mozart horn concertos (on natural and modern horn), concertos by Vivaldi, Bach, Telemann and Haydn as well as chamber music by Mozart, Beethoven, Spohr and, with Ian Bostridge, Schubert and Britten. Since leaving the BBCSO after 20 years’ service he remains Principal Horn with the Academy of St Martin in the Fields while also playing and teaching in Britain and abroad. Stephen Stirling is a renowned soloist who has appeared at almost every major British venue and with the Academy of St Martin in the Fields, the Chamber Orchestra of Europe, BBC NOW, BBC SSO, Bournemouth Symphony Orchestra and the Orchestra of St John’s. Recordings of Mozart Horn Concertos with the City of London Sinfonia feature constantly on Classic FM and he gave the world première of Gary Carpenter’s Horn Concerto with the BBC Philharmonic on Radio 3. He holds the unique distinction of having been the soloist for the opening of both of London’s newest purpose built concert halls – Cabot Hall and King’s Place. His recording of the Weber Concertino Op. 45 with CLS conducted by Michael Collins recently came out with Chandos. He has a world-wide reputation as a chamber musician, in constant demand at festivals in the UK and abroad as well as being a founder member of Endymion, The Fibonacci Sequence, the Audley Trio, Arpège, and the New London Chamber Ensemble. Amongst over 75 recorded chamber works, Brahm’s Horn Trio, with the Florestan Trio, was nominated for a Gramophone award. CDs of York Bowen, Thomas Dunhill, Stanford, and Horn a Fibonacci/Deux Elles CD of rare chamber works featuring the horn, have met with great critical acclaim. Principal of the Academy of St Martin in the Fields, and the City of London Sinfonia, Guest Principal Horn with the Capella Andrea Barca, Orquestra de Cadaques and Scottish Chamber Orchestra, and member then Guest Principal of the Chamber Orchestra of Europe, Stephen is privileged to have worked with many of the world’s finest chamber orchestras. Other recent highlights include performing at the Wigmore Hall with Angela Hewitt and Isabelle Faust, releases of chamber music by Nielsen, Lennox Berkeley, Sound Census with Endymion for NMC and a disc of music for oboe, horn and piano for Oboe Classics. Professor of Horn at Trinity College of Music, London, on the faculty of the Yellow Barn Summer Music School and Festival in Vermont, USA, Stephen is also a veteran of the Dartington International Summer School. Michael was born in Blackburn, Lancashire and started playing the horn at the age of twelve. He was taught by James Eastham of the Royal Northern College of Music. He then studied at the Royal Academy of Music under James Brown and conducting under Colin Metters, John Carewe and George Hurst. At the end of his final year he was offered a post with the English Northern Philharmonia, the orchestra of Opera North where he spent the next two years. In 1989 Michael then took up his present post with the BBC Symphony Orchestra. 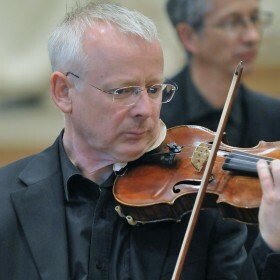 He is also a member of the Academy of St Martin in the Fields and freelances regularly with the main British orchestras. As a soloist he has appeared with the ASMF at St Martin in the Fields, and with the BBCSO at the Royal Festival Hall, the Barbican and during the Promenade season at the Royal Albert Hall. He was also one of the soloists for the premiere of Marc Anthony Turnage’s Four Horned Fandango, a piece which he subsequently recorded for Chandos. Recently he was made an Associate of the Royal Academy of Music. 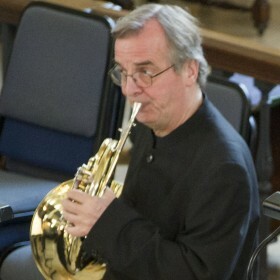 Michael is Professor of Horn at Trinity Laban Conservatoire Of Music and Dance. As a conductor Michael is the Musical Director of the Trinity Orchestra of Harrow, a local Community Orchestra within that borough. 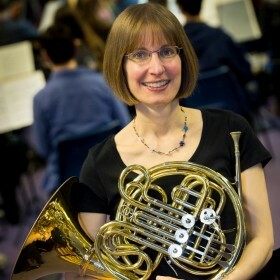 Jo fell in love with the sound of the French horn at the age of 11, having been a tenor horn player in her local brass band in Dorset since the age of eight, and the youngest member of her local choral society (by about 40 years). She went on to study horn and voice at the Guildhall School of Music and Drama, graduating in 1991. Jo has subsequently enjoyed a fulfilling horn playing career – touring, performing and recording with many of the UK’s and Europe’s leading orchestras and chamber ensembles including the Chamber Orchestra of Europe, Ensemble Moderne, Endymion Ensemble, BBC Symphony and Concert Orchestras. Whilst a member of the orchestra of the Birmingham Royal Ballet, Jo studied for a BSc (Hons) in Psychology. She has since combined her passion for music and education in a career which includes work in prisons, schools, hospitals and many other community and corporate settings. Jo was invited to join the horn section of the Academy of St Martin in the Fields in 1998 and has also been Deputy Head of Wind, Brass and Percussion at the Guildhall School of Music and Drama since 2011. 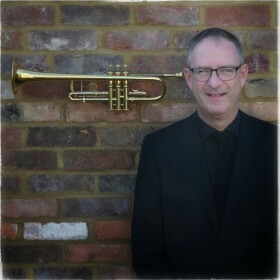 Mark David became the Principal Trumpet in the Academy of St Martin in the Fields in 2010. He is also Artistic Director and Head of Brass at the Royal Academy of Music. He held the Principal Trumpet position in the Philharmonia Orchestra from 1990-2012 and was Vice-chairman of the Council of Management for 11 years. He is also a member of the internationally acclaimed chamber group, the Nash Ensemble. Mark has performed as a soloist with the Philharmonia Orchestra at the Royal Festival Hall and Buckingham Palace. During 2013 he appeared as a soloist with the Academy of St Martin in the Fields in Germany and London and at the Wigmore Hall with the Nash Ensemble. Mark was born in Cornwall and began his musical life in the county’s renowned brass bands. He studied at the Birmingham School of Music with John Wilbraham and later with Håkan Hardenberger. His professional career began as Principal Trumpet at Opera North and continued at the Bournemouth Symphony and the Philharmonia. He has given masterclasses throughout Europe, the Far-East, South America and Australasia. In his leisure time Mark is a keen sportsman, competing in triathlons and ultra-marathons and is a qualified ski instructor, personal trainer and mountain bike instructor. Growing up in London, Will joined the London Schools Symphony Orchestra. He attended the Royal College of Music, where he studied with David Mason, Michael Laird and John Wallace, and during this time was a member of the European Community Youth Orchestra. At the RCM Michael Laird encouraged him to play the natural trumpet, and he was subsequently fortunate to tour, record and perform concerts with the main UK period instrument ensembles, as well as working with many European ones. During a fruitful ten years, he was a busy freelance player with the major London Orchestras, as well as working closely with John Wallace and his ensemble: the Wallace Collection, and for the past twenty years he has been a member of English National Opera. He has taught the trumpet at all levels, and currently teaches at the Royal Academy of Music, and the Guildhall School of Music and Drama. John Constable was born in London and studied with Harold Craxton at the Royal Academy of Music of which he is a Fellow. He began his career on the music staff of the Royal Opera, Covent Garden. He was principal pianist of the London Sinfonietta from its formation in 1968 until 2017 and has been principal harpsichordist of the Academy of St Martin in the Fields since 1984. He is a professor at the Royal College of Music, London. John has made a great many recital records of songs and chamber music including Tartini’s Devil’s Trill Sonata with Joshua Bell, two CDs of music for viola and piano with Paul Silverthorne, a recital of Liszt songs with Philip Langridge, a collection of Warlock songs with Adrian Thompson and Christopher Maltman, Faure and Ravel with Felicity Palmer, Haydn with Dame Janet Baker, a Spanish Songbook with Jill Gomez, Victorian ballads with Stuart Burrows, Frank Martin with Heinz Holliger and Lecuona songs with Carole Farley. With Lucy Shelton he has recorded Messiaen’s Harawi and the complete songs of Elliott Carter and Stravinsky. He has accompanied throughout Europe, Japan and the USA, at the Musikverein Vienna, the Concertgebouw Amsterdam, the Metropolitan Museum New York, Carnegie Hall, the Lincoln Centre, Suntory Hall Tokyo, the Royal Opera House, Covent Garden and the opera houses of Paris, Brussels, Cologne and Geneva.With Lucy Shelton he gave the world premiere of Elliott Carter’s “Of Challenge and of Love” at the Aldeburgh Festival. They also performed it in Hanover, London, Amsterdam, New York and Chicago.He has given recitals in many London festivals including the BBC’s New British Music and Lutoslawski weekends at the Barbican and the American Independents festival at the South Bank. He was a soloist at both the Boulez festival on the South Bank and the BBC’s Schnittke festival at the Barbican. In 2005 he played a concerto written for him by Jonny Greenwood of Radiohead with the London Sinfonietta at the Royal Festival Hall and in 2008 he played in a performance of Messiaen’s Quartet for the End of Time at the opening festival at King’s Place. In 2009 he performed a programme of French song at the Library of Congress, Washington with Carole Farley and was also a soloist in the BBC Promenade Concerts. In 2010 John accompanied Susan Bickley in performances of Berio’s Recital at the Aldeburgh Festival and at the Royal Opera House, Covent Garden, in Berlin in 2016 and at the British Museum in 2018. He has also appeared both as soloist and accompanist at the Bermuda Festival. As a harpsichordist John has recorded for Argo, Capriccio, Decca, Deutsche Grammophon, EMI, Hannsler, Philips and Sony.He has performed and recorded concertos with David Atherton, Sir Colin Davis, Hans Werner Henze, Elgar Howarth, Oliver Knussen and Sir Simon Rattle. He has played and directed concertos with the Birmingham Contemporary Music Group and the London Sinfonietta. He played in two Philips cycles of Mozart operas, one conducted by Sir Colin Davis and one by Sir Neville Marriner. He also performed and recorded Cosi fan tutte with Sir Simon Rattle and Don Giovanni with Sir Georg Solti. He has recorded with the Academy of St Martin in the Fields, the Bavarian Radio Symphony Orchestra, the Polish Chamber Orchestra, the London Symphony Orchestra, the English Chamber Orchestra and the Concertgebouw Chamber Orchestra. He has performed the Elliott Carter Double Concerto with the London Sinfonietta, the Asko Ensemble, the Birmingham Contemporary Music Group and at the BBC’s Carter festival at the Barbican. Born in London, Tristan began his professional career with the London Philharmonic Orchestra at the age of 17 as Co-Principal Timpani and Percussion. At this time, he also became regularly involved at Aldeburgh working closely with Benjamin Britten, particularly on the ‘parable’ operas, as well as joining John Dankworth’s Orchestra with Cleo Laine playing three seasons at Ronnie Scott’s Jazz Club. He went on to become a founder member of the London Sinfonietta and the Pierrot Players (now Fires of London), during which time he worked closely with Harrison Birtwistle and Peter Maxwell Davies. 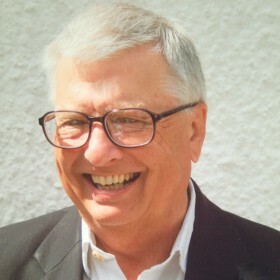 He has appeared several times at the Proms, featuring as the soloist in such pieces as Stockhausen’s Kontakte and Zyklus, as well as performing Bartok Sonata for 2 Pianos and Percussion, many pieces by Boulez, works by Richard Rodney Bennett, and various piano duos, including John Ogdon and Brenda Lucas, and members of the Menuhin family. Tristan has been involved in many commercial recordings, TV shows and films, playing on such diverse soundtracks as the James Bond, Pink Panther, Harry Potter and Amadeus movies, and records for the Beatles, Nick Drake and Pavarotti. TV shows include The Two Ronnies, Morecambe and Wise with André Previn, Yes Minister, Top of the Pops and Dr Who. He has worked with many great artists from all areas of music, including Frank Sinatra, Bing Crosby, Fred Astaire, Danny Kaye, Jack Benny, Duke Ellington, Count Basie, Buddy Rich, Sonny Davidson, The Beatles, Liza Minnelli, Leonard and Elmer Bernstein, Jerry Goldsmith, André Previn, Stan Getz, Val Doonican, Vera Lynn, The Rolling Stones, Ken Dodd, Bing Crosby, Fred Astaire, Rozhdesventsky, Duke Ellington/Count Basie and their orchestras, Buddy Rich, Louie Bellson and his orchestra, Barbra Streisand, John Pritchard, Sir Simon Rattle, György Ligetti, Sir Colin Davis, The Shadows, John Williams, John Mandell, Bernard Haitink, Sir Georg Solti, Sir Charles Mackerras, Lorin Maazel and Igor Stravinsky. He has hosted his own television series called Countdown to the Festival, and has done many solo concerts of avant garde percussion repertoire. Currently, Tristan is the timpanist for the Academy of St Martin in the Fields and is, therefore, one of the most recorded timpanists in the world. He also makes regular appearances with other English and European orchestras. Tristan is also a founder member of the pop group SKY along with John Williams and Herbie Flowers and they have had hit songs reaching the top ten in both England and Australia.